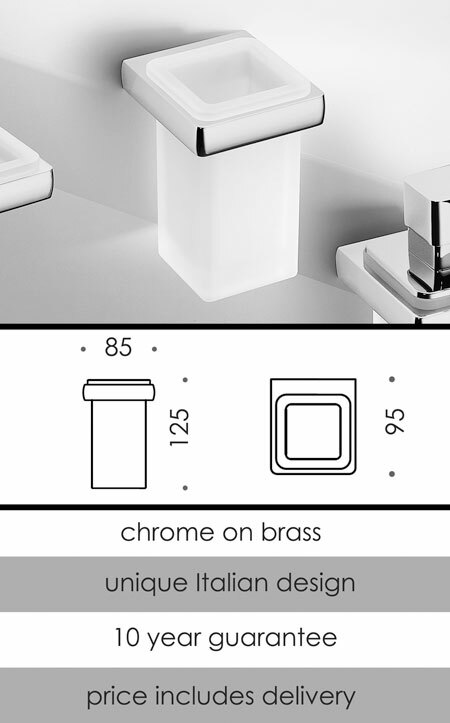 This designer toothbrush holder is an attractive mix of chrome plated brass and thick frosted glass. Designed in Italy and very high quality this wall mounted toothbrush holder is part of a matching bathroom accessory collection. * Frosted glass & chrome on brass.